Beauteque is by far my favorite website to shop at when it comes to Asian beauty products, I’m particularly addicted to the various sheet masks they sell! Along with their monthly BB Bag, Beauteque also released a new Head to Toe Bag! This bag is not a subscription bag, it is a one time purchase and is only available until the end of February – I was kindly send this for review purposes. The Head to Toe Bag costs $26 plus $4.95 shipping in the US, $6.95 in Canada, and $8.95 in Europe and contains 7-8 full sized products. Some items are customizable and three of the items were shown in a sneak peek while the other items remained a mystery. I tried not to peek at all of the contents of Head to Toe Bag but I couldn’t help but check out reviews from other bloggers since the crazy weather delayed the mail! February’s Head to Toe Bag had a theme of “Pink”, and is said to include a variety of beauty products perfect for an afternoon with friends or a night out with that special someone! I saw many other gals raving about the actual bag this month and I can’t say I disagree! It’s completely different from the other bags they sent and I love the material and design! Plus the color is perfect for February! I know Shiseido is a highly respected brand so I was excited that Beauteque included one of their products in this bag! I tried this out and it feels great on my skin – it’s lightweight and moisturizing. I think it’s perfect for right now since I get a few dry patches in the cold weather. I’ve never used a luminizer before since I prefer a matte finish. It can be used on its own or be mixed in with a foundation. I was curious to try this out but I made a HUGE mess with this product! I didn’t know it was going to be super liquidy/runny! I got it all over my hand and clothes. It does give a subtle glow but it settled into my lines so I’ll probably find someone to give this to. I really wish the packaging was different! Yay for masks! I’ve never tried these wash off masks before but I’m excited to use them. These are one time use but I’ll probably get 2 uses out of each pod. These are specifically for moisturizing and elasticity! You apply the mask and leave it on for 10-15 minutes and then wash it off with warm water. I was really interested by the spoon cream since I never saw a product like it before. This cream is supposed to moisturize and brighten skin. You snap the handle and use it to mix the cream and apply it on your face overnight! I love Etude House so I’m really excited to try this out! The compact puff was in the sneak preview so I was really really excited to try it out! I LOVE my beauty blender but they’re pricey so I’m trying to find a nice dupe to purchase. Although the card says it’s nearly $16 I found this compact for $3 on a different website. 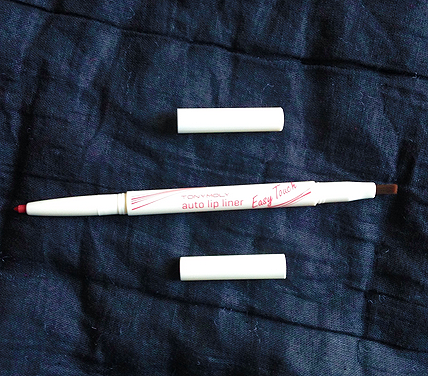 I have an addiction to lip liners at the moment so I was really happy seeing this in the bag! 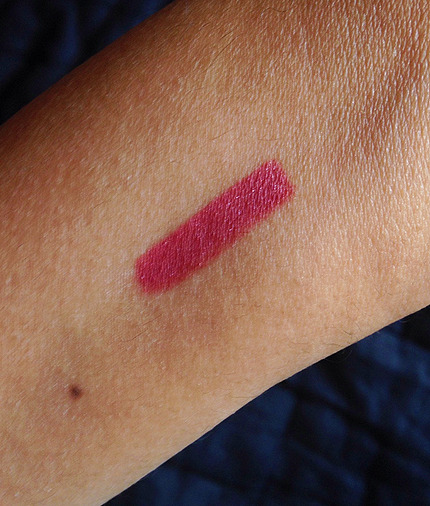 The shade is a gorgeous pink color and I know I’ll be using it often! It wasn’t super creamy but wasn’t rough when applying either, I may purchase a few other color! I also like how there’s a brush at the other end! This mascara is supposed to give a long and defined look and isn’t supposed to clump. I’ll probably pass this over to someone since I don’t use mascara often. I do like how affordable it is but again, I found both of these Tony Moly products for a slightly lower price than listed on the card. The overall value with the prices listed on the card come to be around $66 so I think they had a misprint when they wrote the retail value was $80. However, some of the products do seem to have inflated prices and with my research over the web, the value I came out was near $50. I still think that’s a great value for the price of the bag! Plus I’m in love with all of the products – except the luminizer. 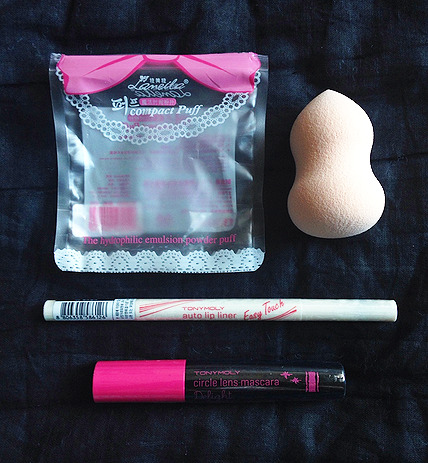 I think my favorite are the Tony Moly Lip Liner and Etude House Sleeping Spoon Cream! I’m most excited to try the compact puff to see how it compares to the beauty blender! I think Beauteque was successful in incorporating the products to the theme of “Pink”! I was intrigued on how they would do that and I am definitely going to stick the bag into my purse soon since pink is my favorite color! I’m super excited to see what they come up with in March! If you’re interested in purchasing the Head to Toe Pink Bag, you can do so here! They’re available until the end of February or until supplies last. Thank you, Priyanka, for more great beauty bags/sites. I love Asian skincare, but I haven't gotten a Memebox since the US operation separated from the Korean one. i'm kinda of afraid the cuteness factor is no long there in the US boxes. I will check this one out! I have pretty happy with my Beauteque BB Bags so I haven't branched out to try the other bags they offer really. Overall, this one looks pretty good! 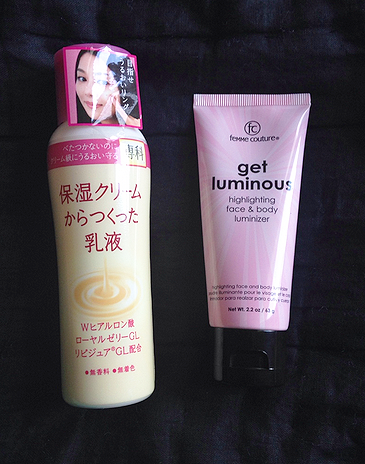 I have tried that Luminizer before and did not like it either, but both of those masks look awesome – I haven't tried either so I would love to hear how they are! What fun treats! I'll have to check out the site. What a great bag! 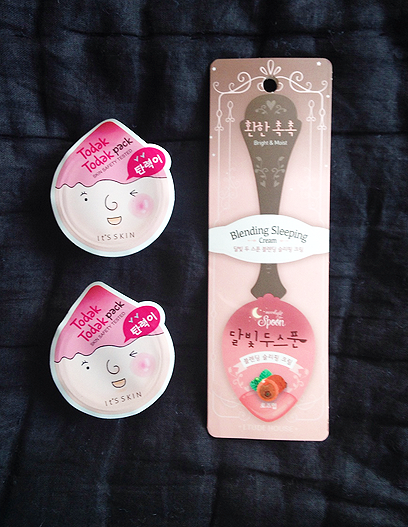 Asian beauty products are so cute, I love their packaging! Love your comments on the Asian beauty products!! !